The realistic quality of Touchstone™ fireplace flames can't be understated. At trade shows and retail locations, customers always ask if the flame is hot to the touch or if its a gas log, and most of our reviews focus on the realistic fire. To view the impressively realistic flames of this unit check out the video link on this page. The flames can be run separately from the heating features, allowing you to enjoy the flames of your electric fireplace year round. 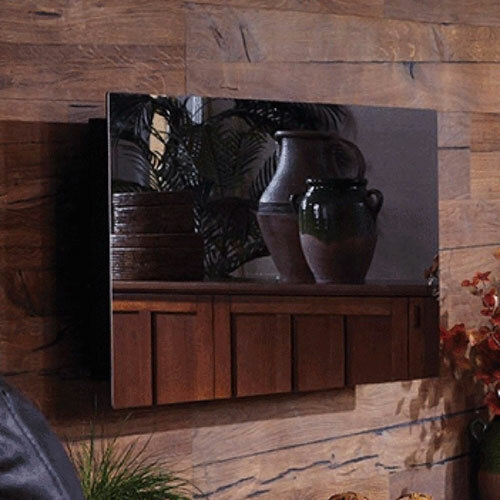 The Mirror Onyx® has 5 flame settings, which let you pick the right flame for mood your looking for, ranging from a subtle ember to a full flame. Read more about the benefits of electric fireplaces.